As we mentioned in our article, 10 Great 50th Wedding Anniversary Gift Ideas, long-lasting marriages are rare birds. If you know someone who is celebrating their 40th wedding anniversary, then you know you need to pick them a unique 40th wedding anniversary gift. You’ll find the perfect 40th wedding anniversary gift ideas on our list, so read on until you find what you are looking for. Know that these are just suggestions, and if you don’t find something that you think would suit the happy couple, then you can use this list as an inspiration to get them another type of 40th wedding anniversary gift. Let’s get right to it! One 40 wedding anniversary gift you can get the couple is a robot. Their minds will be blown when they see this! We bet that when they were young thinking about life at 60, they surely thought a robot would be doing their housework for them. They were right! 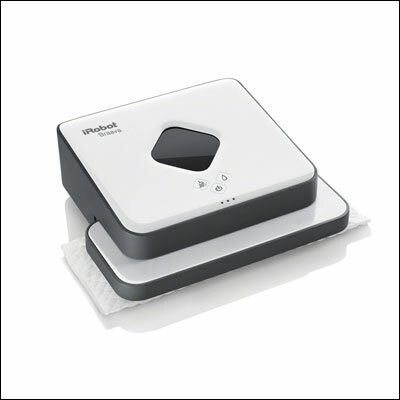 This compact robot floor cleaner turns itself off when finished, and it can run up to three hours on a single charge. It cleans hardwood surfaces: laminate, vinyl, and hardwood. Usually, senior citizens aren’t in a rush to go anywhere. 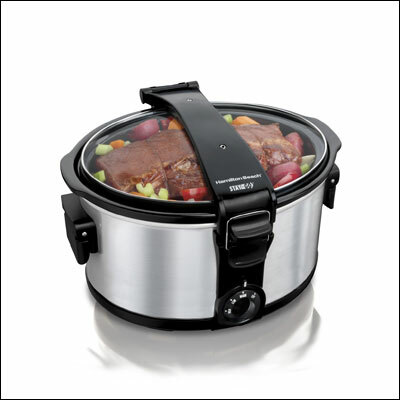 This slow cooker is the perfect gift for a couple who loves to cook and eat together, mostly because you don’t have to do anything and you’ve got your food ready. You simply put all the ingredients together, turn it on, and in a few hours, or even overnight, it works its magic and you get delicious and healthy food just like that. It has a detachable lid and stoneware, thus making it dishwasher safe, and its hinged lid will stay up so that serving is made possible. It also has folding handles and will fit a 7lb. chicken. This 40th wedding anniversary gift is a classic that never gets old. 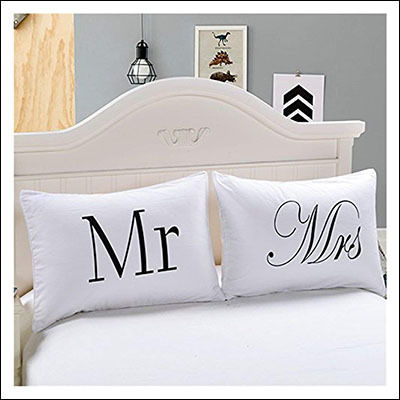 These New Boss Mr and Mrs Pillowcases will make the couple feel like they’re on their second honeymoon. They’re made from a cool and soft cotton and polyester mix, the color is white, and the pattern is printed through a process that helps it not fade or be washed out. Anyone can appreciate a nice and fancy tray of dried fruit and nuts. 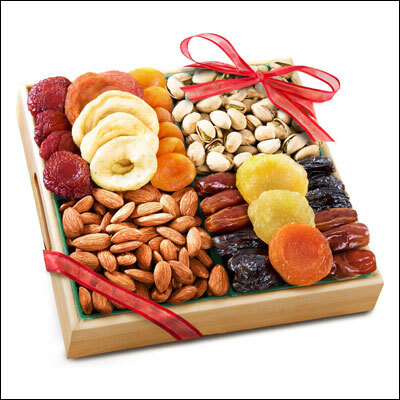 This particular tray includes prunes, dates, dried apricots, dried pears, peaches, plums, and apples. This makes a wonderful gift that they’ll both enjoy, and it is a healthy choice. So, forego that mixed meats gift basket or those fancy chocolates and choose the healthy option. The Coffee Bean & Tea Leaf is a popular online store for coffees, teas, and anything related to them. Have you ever tasted their delicious teas? If you haven’t, then you really haven’t tasted tea! Get the couple a gift card as a 40th wedding anniversary gift and they can choose from their large selection of teas. 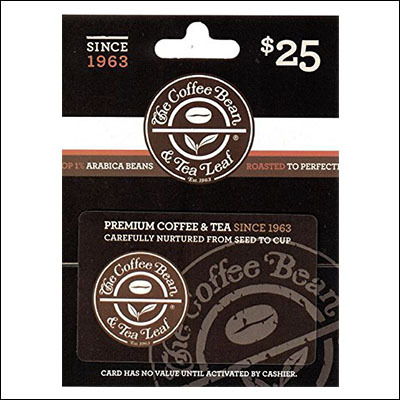 If you purchase The Coffee Bean & Tea Leaf gift card, we’re happy to let you know that the shipping is free! Crystals are one of the most inspiring gifts to celebrate a 40th wedding anniversary. We’re not suggesting to get the couple crystal jewelry (unless you can afford it, then go for it!) 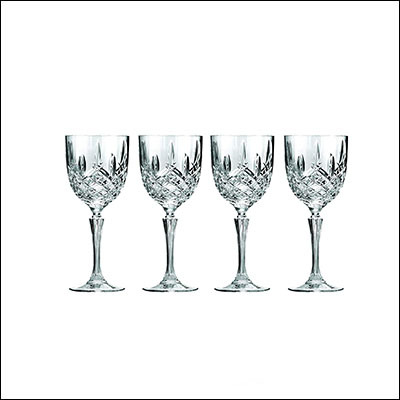 but if you want to get something that will certainly please the couple, then go for these Marquis by Waterford wine glasses – they’re stunning. Hand wash only, they’re lead free, are 8.5’’ tall, and have an 11-ounce capacity. This is the most fun present on our list. If you’re looking for a wacky 40th wedding anniversary gift for folks who are young at heart, then we suggest you reach for this one. 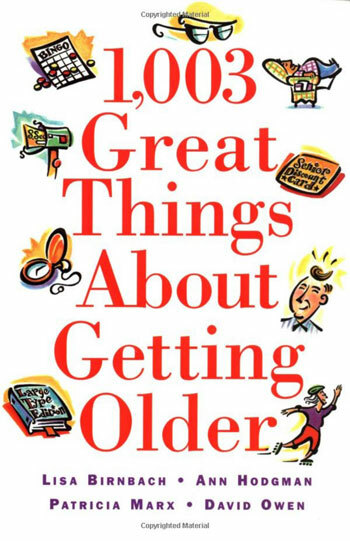 The facts in here are awesome and will raise the spirits of anyone who’s concerned about growing old. Let’s tell you one of the great things about getting older: All your enemies are dead. They’ll also provide you with some things that aren’t so great about being young, like Troublesome erections and Firm, firm breasts (How are you supposed to sleep). Oh, how right they are! Looking for fancy 40th wedding anniversary gifts for a distinguished couple? Does this couple also happen not to drink alcohol? Then this is the best gift you could get them. We know it can be a bit expensive, but how often do people celebrate their 40th anniversary? 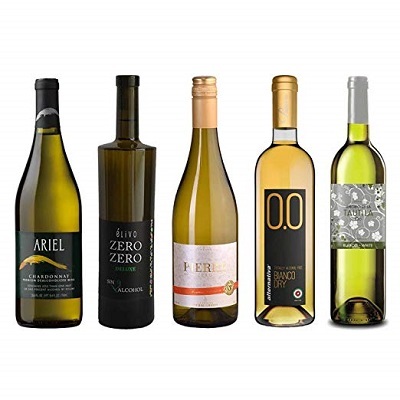 This assortment of non-alcoholic wines includes bottles such as the Ariel Chardonnay, Pierre Chavin Zero Blanc, and Princess Bianco Dry. This could also be a fun gift for a couple who really loves wine, as a way to tell them that maybe they should start drinking less. 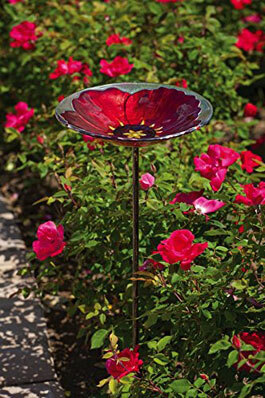 Look at this gorgeous birdbath! It makes a great addition to any garden, be it small or big. Its ruby color is perfect for a 40th anniversary gift. If you don’t plan on buying one for the happy couple, then consider getting one for yourself, it’s simply too beautiful to pass on. 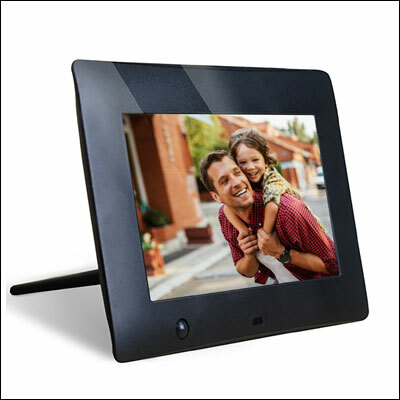 A digital photo frame is something that would look good in any couple’s home. It’s easy to use and it has a motion sensor, so you won’t bother turning it on and off. It has a high-resolution panel with LED backlighting and it can play videos, photos, and MP3 music. With a 1-year warranty and a remote control, it truly has everything you need from a digital frame. A couple celebrating their 40th anniversary will love it! What did you think of our list of 40th wedding anniversary gift ideas? Do you plan on buying anything? What would be your perfect 40th wedding anniversary gift? Drop us a line in the comment section below and let us know.